3 Who Is Archie for? 5 Lastly premium! plus save 25% for paying annually! Archie on Instagram A Ranking Of : 4.9 out of 5. 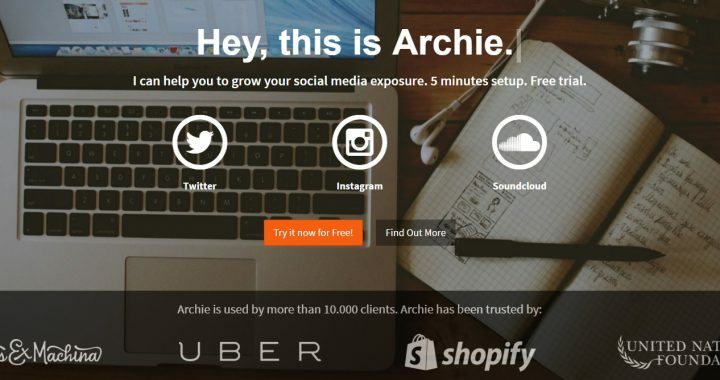 Archie .co on Instagram is a social media software platform which helps build up followers. Also available on Twitter and Soundcloud. This is by far the easiest software I have come across. To build up Organic followers on Instagram and Twitter. My main interest when I came across Archie. Was finding out if this was going to help me build up my Instagram profile. With Fake followers or real followers, to my surprise after searching for a quite a while. For a software that could help me build up an organic following. Archie.co on Instagram was just that! Try Archie now for free! You tell Archie what your customer is looking for In Instagram or twitter. You can do this by entering up to 10 Tags. These can be anything your customer is searching for. So for example, if you were selling diamond rings, like my website Putaringonitt.com. You would add up to 10 tags all related to Diamond Rings. Archie then will go through Instagram and Twitter and search for profiles. Which have been liking or posting similar tags to the ones you entered. People who are attracted to your profile will begin to follow you and retweet you. Archie will then interact with them, I’m not sure what the exact Algorithm is. But Archie will like their pictures. Also, Interact with them so they notice your profile. This will then lead into a conversion, increasing your followers the right way. All you need to do is set up your account and what Tags you want Archie to like for you, and away you go! Anybody who wants to gain organic followers Archie is for you. This software can be helpful for business’s who are looking to attract new leads. Archie will drag and attract new customers attention to your profile. This will lead to more interaction, more followers and more sales. Any professionals who use Instagram or twitter to showcase their work. Archie will not only help increase sales. But also create a lot more attention around your website. I used Archie to help grow my Instagram account for Putaringonitttt. I could have purchased a few thousand fake followers. But I wanted organic followers. which can lead to potential new sales and lifetime a customer. I had a total of 67 followers and after 5 days of using Archie. This has now reached 135 followers, so that’s double in the space of just under a week! So unfortunately as great as Archie.co is, it’s not Free! It is Free for the first 3 days, also. If you like their page on facebook and post a picture or tweet about Archie.co they will give you an extra 3 days for free. So If you keep on posting their pictures and liking their stuff you can pretty much have a free account. Just depends on how active you are willing to be. 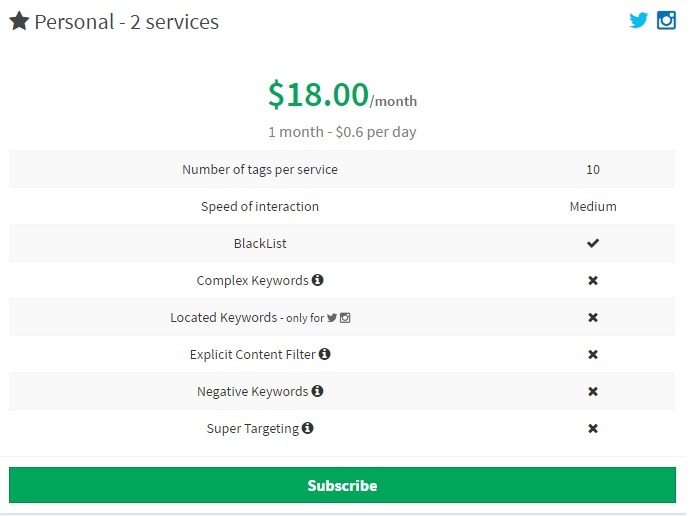 The Monthly cost is $18. which is not exactly eye watering, so you can go premium or. like I said just to promote their stuff and it will work out free for you. 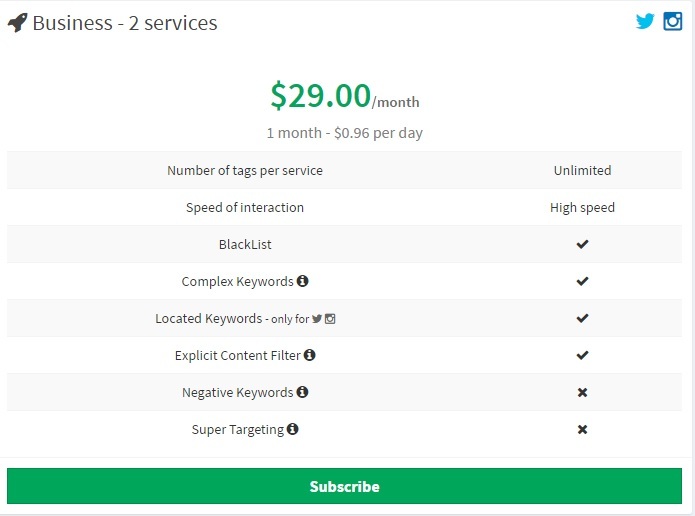 They also have 2 other levels of subscriptions for business’s, these are as follows. Lastly premium! plus save 25% for paying annually! I hope you liked my review on this great tool to help you build up your followers on Instagram and Twitter! If you’re looking for more than just a tool and looking to build an online business. Then look no further than my Number one recommendation the Wealthy affiliate. 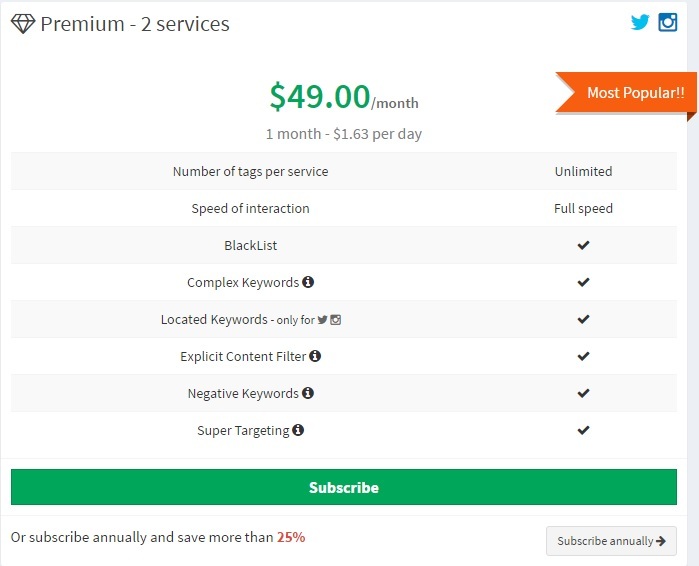 Price: Free for 3 days, $29 A Month after. Drop me a comment below or you can always get in touch with me via WealthyAffiliate.com (link to my profile).